It looks like if I’m going to want to tackle this resin trend, I’m going to need to invest in some new craft tools. It’s definitely a specialized craft that will require a few new things. Here’s what I’m considering. Dremel Multi Tool – I saw the Dremel multi tool used for a couple of different purposes. It was used to sand and polish the resin to get that glossy shine. It was also used as a drill in some of the jewelry tutorials I found so that the chain could be added to the pendant. Packing Tape – I was surprised to see packing tape included in many of the smaller scale projects that I found. It helps to keep your piece from moving around and stops the resin from pouring out of the bottom/sides of your project. Straws – This is another odd ball thing to use, but many of the tutorials called for using a straw to blow out the bubbles that might be in the project. 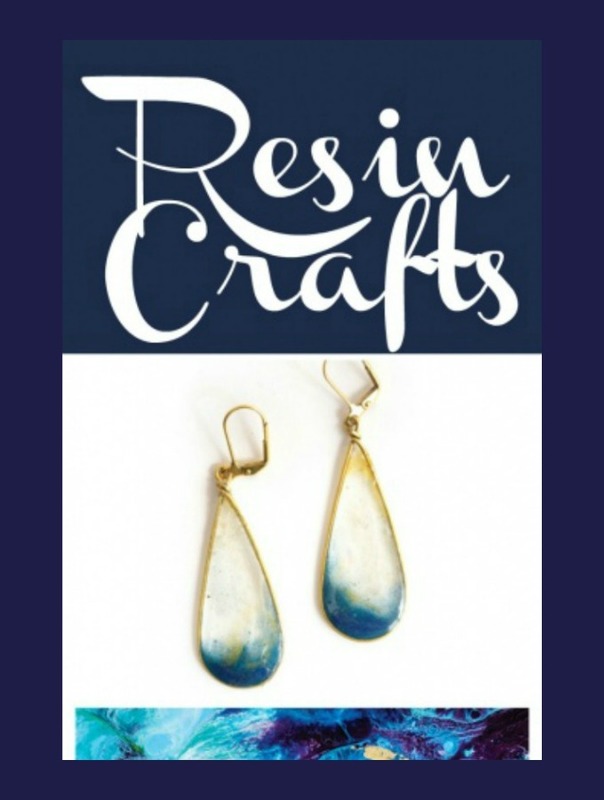 I’ve found lots of amazing, colorful and bold jewelry pieces while researching resin projects. 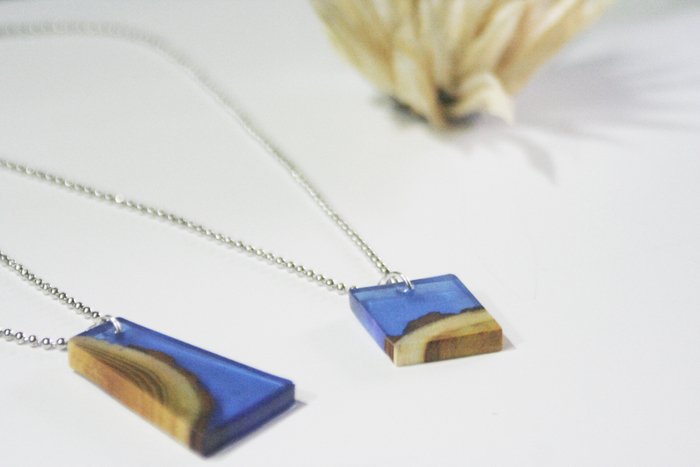 I’m obsessed with these wood and resin necklaces that I found on Resin Crafts Blog. I’ve already showed them to you before in this Hygge post. I’m determinded to make these at some point, but I don’t think I would call them a beginner project. They require a dremel tool and I don’t have one of those in my crafting repertoire yet, so I’m thinking I might look for something a little more unplugged for my first try. They are pretty, though, aren’t they? 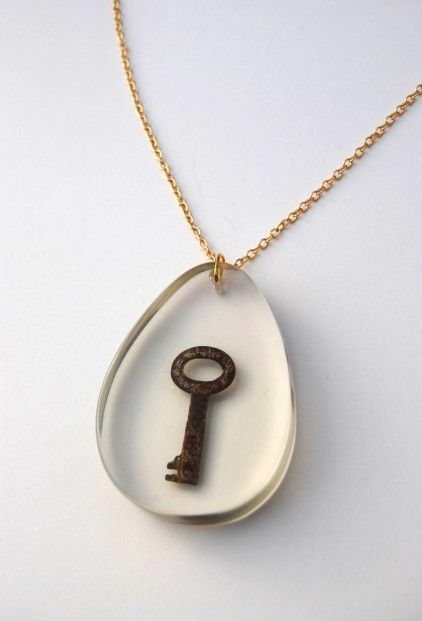 The link to this super cool key and resin pendant is not working, so I can’t tell you where it came from, but I can tell you I think it’s pretty awesome! If I’m going to make a pendant, I’m going to have to either invest in a drill or a dremel in order to be able to get the hole at the top for the jump ring (that’s what it’s called, right?). I love the simplicity of this. This would get compliments for days. These earrings from Nunn Designs are pretty special. Their step by step tutorial is amazing. This might be the best place to start for me. They are really just gorgeous. I don’t wear jewelry often, but if I made these, I’d wear them on repeat. 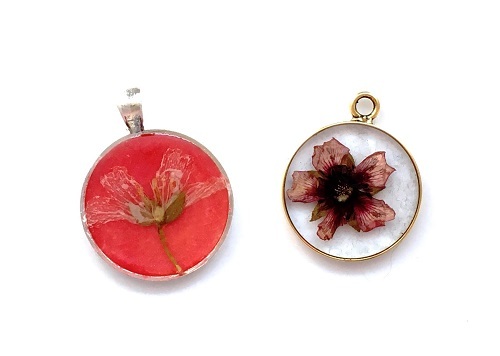 Shoot, I really love these pressed flower pendants from Beading Gem, too. I love a moment of nature frozen in time. Maybe this will be the first thing I try. If I get those bezels, I won’t have to worry about drilling anything. Those two above are actually examples of the artist’s “woops”, but I really love them. Where does one find such tiny flowers, though? 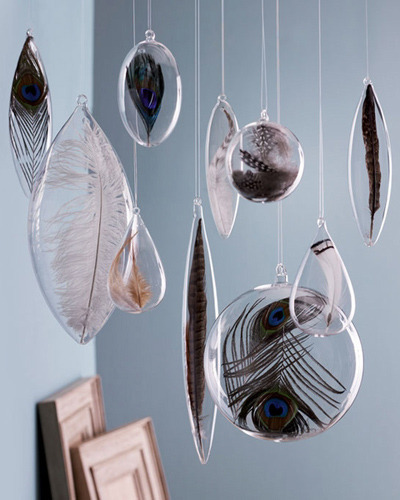 These feathers in resin are simple and perfect. So delicate. I would love these hung in a window like suncatchers. This one also doesn’t seem to have a source to get a tutorial from, but I think if I could master a couple with tuturials, I could probably take a shot at this. Sasha at Life’s Carousel used an Epoxy Resin to seal her DIY Faux Granite Countertops. The epoxy resin gave her counters a beautiful shine and protection from the normal wear and tear you get near a sink. I love these Resin Photo Coasters from Something Turquoise. I would totally make these, maybe not with photos, but with some type of pretty paper. Except, we totally don’t use coasters here! For those of you that do, give these a try! 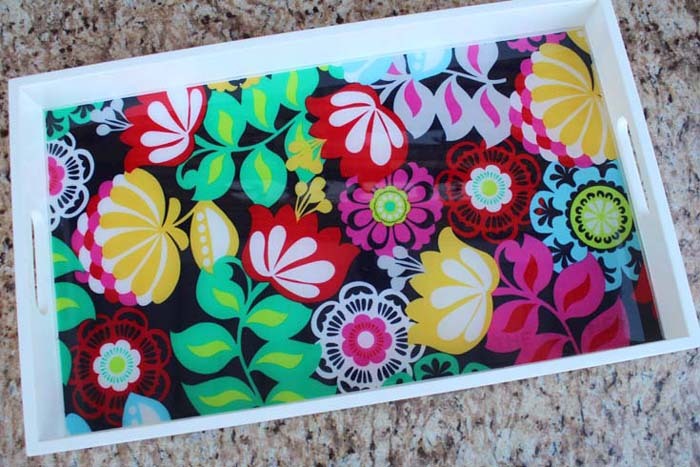 That graphic print on this serving tray from Resin Craft Blog is actually fabric. This tutorial looks relatively simple and would be a great first project, but I’m in the mood to do something with jewelry, so I’m still leaning that way. I don’t really have any words for this stunner. Except to tell you that it’s made with resin and love. There’s a tutorial for you from Zart Art. This is definitely not the first thing I would try with resin, but it might be the last one. If you’re more into a 3D project, there is this gorgeous flower cast in resin. I’ve looked again for a source with a tutorial, but have not been able to track one down. It’s just lovely, though. So, what do you think? Which was your favorite? What would you like to see me make? I definitely want to start off easy, but I plan to work my way up to something like the poured resin painting. Please send me a pic if you do! Sounds beautiful! Hey Tiffany! Oh, I would love to see that, the alcohol ink poured in resin! I need a new resin project in my life. Omgosh I’m totally addicted I love doing things with resin I love it lol I’ve honestly done quite a few really fun pieces and my favourite by far is dropping in alcohol ink into poured resin it’s amazing looks like incased fireworks!!! !